Beet Kvaas: Superior Vitality Tonic & Easy-To-Make Probiotic Drink! Beet Kvaas is an mineral supplement drink from the Russian tradition, and an AMAZING vitality tonic. After you read what’s next, you’ll wonder why everyone doesn’t have this awesome stuff in their fridge! Just 4oz. of Kvaas AM & PM is a complete mineral supplement, probiotic, digestive aid, and liver/gallbladder cleanser. It also helps with disturbed cellular function, which we all have to some degree. It helps thin the bile and detox the body, it keeps the bowels moving regularly, and it builds healthy blood. If you want to have it on hand continually, as I do, make a new batch about 10 days before you run out of your previous batch. Okay. Here’s how: simply scrub & chop 3-4 large purple beets into large, 2 inch pieces (just quarter them so that they’ll sink to the bottom). 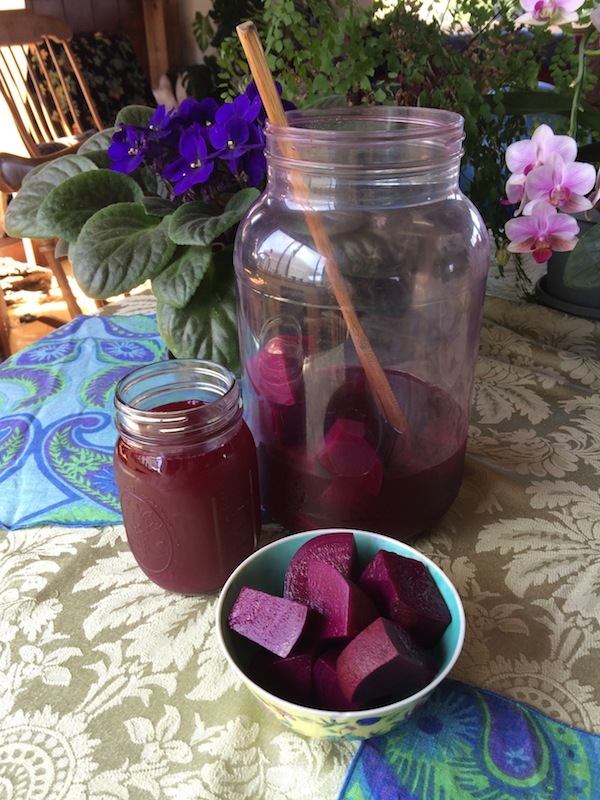 Place the beets into a 1 gallon glass jar, fill almost to top w/filtered water and then stir in 1/2tsp whole sea salt, and either 1Tbsp whey from plain cultured yogurt, OR ½ wafer of lactic acid yeast by Standard Process brand, OR 1 cup kvaas from your previous batch. Let this mixture sit covered, at room temperature in a dark place for 48hrs, then skim the bubbly stuff from the top (see photo below) w/a clean spoon (you don’t want to introduce any different bacteria), stir and refrigerate. After about 5 days in the fridge, it’ll become dark purple and lovely to drink. It’ll get darker and darker purple, and more and more tangy over the next two weeks. Stir it with a clean spoon before you drink it, as the minerals tend to sink. Kvaas keeps for up to 2 months refrigerated, as long as the beets are beneath the level of the liquid. This process is anaerobic, so you can remove the beets as you drink it down (so that they don’t stick up above the level of the liquid), OR you can add another few cups of water then refrigerate for another week, OR you can start a whole new batch. Your next batch you can use the same beets, inoculate it with a cup or two from the previous batch of kvaas, so you don’t have to extract yogurt whey each time. Also, you can include fresh ginger, turmeric or burdock root scrubbed and chopped into large, 2 inch pieces that sink, for added medicinal benefit. Kvaas should taste slightly sour and effervescent (carbonated). You can re-use these first beets for your second round of kvaas, but they should be eaten or discarded after this. Use fresh beets for the third round, and for every other round. 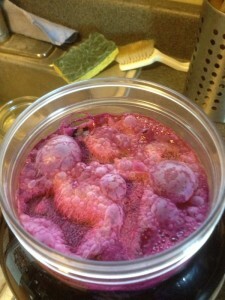 Pay attention to the smell and taste, and if it tastes bitter or smells rotten, dump it and start a new batch using fresh yogurt whey or 1 cup kvaas from a good batch. This time be sure to sterilize all your tools & containers with anti-bacterial soap OR grapefruit seed extract. *To get the whey out of a cup of yogurt, layer a dozen layers of cheese cloth or muslin inside a strainer basket and set it in a bowl not touching the bottom of the bowl. Dump the plain cultured yogurt (Brown Cow with cream top removed, or Nancy’s low fat work best for this) on top of the cheese cloth, and let the whey slowly drip down through the cloth into the bottom of the bowl, which takes about 1-2 hours. Here’s a totally worthwhile, recent article by your favorite and mine, Dr. Joseph Mercola. In it, he shows us how intermittent fasting improves your immune system and mitochondrial function, reduces your inflammatory process, and reduces the amount of free radicals in your body. It is also dramatically helps to slow down the aging process, especially if you eat good fats as about 30% of your diet, and 50- 60% of your whole food diet as seasonal veggies & dark leafy greens. “The types and quality of food you eat influences more than just how much you weigh. Food has an effect on your metabolism, insulin production, leptin release and a myriad of other hormonal and chemical balances. Scientists are also examining the way fasting affects cellular and mitochondrial function, and longevity. They’ve found the cells in your body react to fasting in much the same way as they do to exercise. In other words, when placed under stress, be it exercise or fasting, the reaction creates changes at the cellular level that helps extend your lifespan. Although much of the research is on fasting or intermittent fasting, the newer term is sometimes referred to as TRF (Time Restricted Feeding) which promotes eating only in a narrow window of each day, typically 6-8 hours. “Fat is a far cleaner burning fuel than carbohydrates and generates far less free radicals. Glucose is an inherently “dirty” fuel as it generates far more reactive oxygen species (ROS) than fat. But to burn fat, your cells must be healthy and normal. Cancer cells, for example, cannot burn fat, and this why a healthy high fat diet appears to be such an effective anti-cancer strategy. “To summarize, mitochondrial health is promoted by eating real food; avoiding food at least 3 hours before bedtime; and intermittently fasting. “Fasting is a biological stressor with several amazing health benefits, including normalizing your insulin and leptin sensitivity, promoting human growth hormone (HGH) production, reducing oxidative stress and lowering triglyceride levels. “And now a team of researchers from the University of Southern California believe they have discovered yet another benefit: The regeneration of stem cells. “During the initial 14-16 hours of not eating, your body burns through almost all of your carb (glycogen) stores in your muscles and liver. Once those glycogen stores have been depleted, your body turns to fat stores for energy. Intermittent fasting teaches your body to efficiently burn fat for fuel. “In an adult, the undifferentiated stem cells found in tissues and organs are used by the body to renew itself. The primary role of these cells is to maintain and repair the tissues where they are found. “Another effect of fasting is autophagy. When this vital process occurs in the mitochondria it is called mitophagy. This is when your body begins to eat itself in an orderly pattern to remove damage parts from your body. “Mitophagy happens at the cellular level where the membranes break down and your body recycles what’s healthy and uses the rest for energy, or to make new parts. This process may also play a role in controlling the amount of inflammation in your body. When scientists engineered rats incapable of autophagy they grew up sleepier, fatter, with higher cholesterol levels and impaired brains. “There are three ways to elevate your body’s ability to destroy worn out cells and regenerate new ones. The first is exercise, which puts stress on your body, tears down muscle, and helps your body to rebuild new tissue. 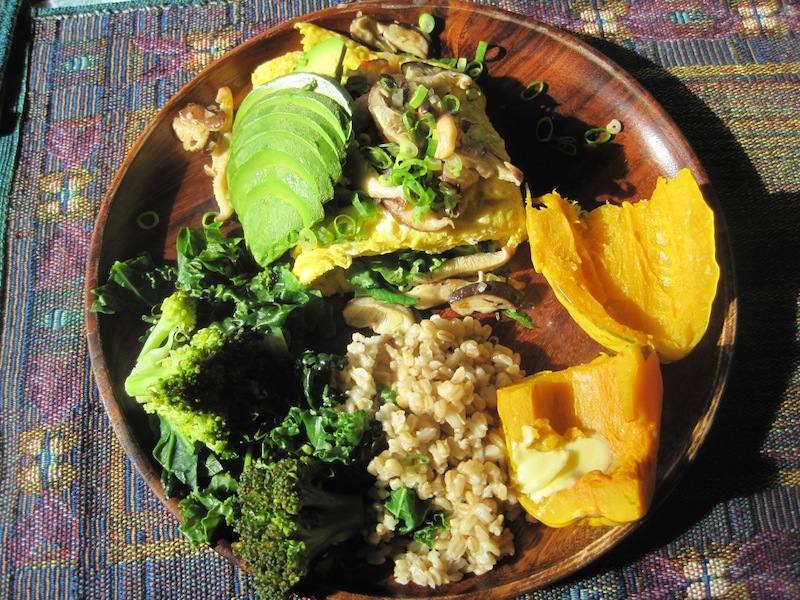 “A highly effective way to boost mitophagy is intermittent fasting. Some studies even suggest intermittent fasting can improve cognitive function, brain structure, and help you to learn more easily. These studies were completed on rats and it wasn’t totally clear if the benefits resulted specifically from autophagy. “Yet another way to mimic mitophagy is to use a high fat diet consisting mainly of high quality healthy fats with a moderate amount of high quality protein and minimal non-fiber carbohydrates in the ratio. 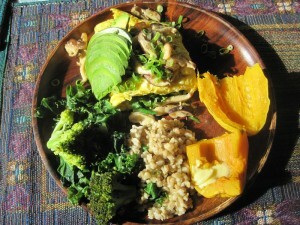 The idea is to reduce your carbohydrate intake to a level that your body has no other choice but to burn fat for fuel. 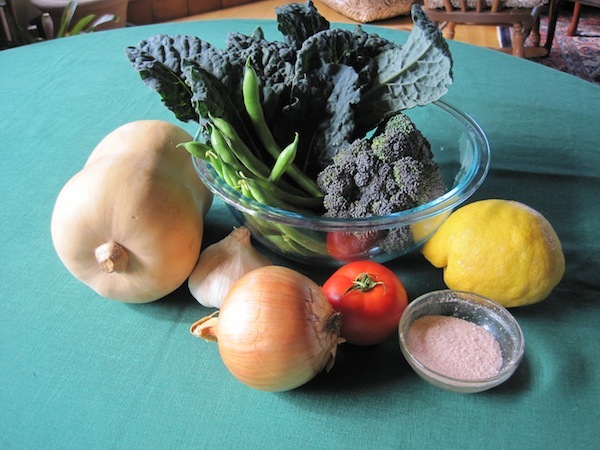 “Research demonstrates this diet will help your body fight cancer, lower your risk of diabetes, fight some brain disorders, and can reduce seizure activity in 50 percent of children on the diet by at least 50 percent. “Keep in mind that monitoring your protein intake is just as important as cutting non-vegetable carbs. If you eat more protein than what your body needs, you will prevent the activation of pathways associated with stem cell and immune system regeneration. This includes the mTOR, PKA, and IGF pathways. “There is compelling evidence that when cells are supplied with fuel when fuel is not needed, the cells leak electrons that react with oxygen, producing free radicals. Free radicals are responsible for damage to your cells, DNA, and have been linked with an increased potential for illness and disease. “The best way to reduce free radical damage is not to take antioxidants but to make sure you are burning a clean fuel like fat and not carbs. However, when your caloric intake is greater than necessary, and especially when consumed at a time when you have low energy needs, like when you are sleeping, it increases the number of free radicals produced. “Studies have demonstrated the link between free radicals and mitochondrial DNA damage, which is then responsible for producing nuclear damage that can result in cancer. In a study from France, researchers demonstrated in a mice model that intermittent fasting in mice with lymphoma reduced the amount of free radical, increased their longevity and reduced the death rate. “This is also why I recommend not eating at least 3 hours before bedtime. Your body will use the least amount of calories when sleeping, so the last thing you need is excess fuel at this time, as it will generate excessive free radicals that can damage tissues, accelerate aging, and contribute to chronic disease. “Personally I stop eating around 4 – 5 PM, but this time varies depending on what my blood sugars are running. My goal is to have a fasting blood sugar below 60, but certainly below 70. I personally strongly disagree with fasts much longer than 18 hours as it will drive most people into burning lean muscle mass for fuel. This is why I recommend 16-18 hours of fasting each day and eating all of your calories in the remaining six to eight hours. This reduces your body’s dependence on carbohydrates and glycogen on a daily basis. Research has demonstrated a lowered cancer risk and improved weight management in both humans and animals. “Intermittent fasting is healthy for most people. However, if you suffer from diabetes, hypoglycemia, chronic adrenal stress, or cortisol dysregulation, you must take specific precautions and work with your physician and dietitian to ensure healthy balance of nutrition and fasting. Pregnant and nursing mothers should not fast as their babies need the nutrition to grow and develop appropriately. “Adding this type of fasting to your health regimen may be challenging but the rewards are significant. Begin by using a fasting schedule you think you can maintain. Don’t get discouraged if you eat more on your fasting days than you had planned. Drink plenty of water and tea to help feel full and satisfied during the day. “Get support from friends or relatives. Starting a program with someone else, especially in the same house, will give you an accountability partner with whom you can share tips that work for you. When you know that someone else is counting on you to walk this journey with them, you’re less likely to eat more than you planned. and is brought to you by Dr. Mercola, a New York Times bestselling author. Matt & I just returned from 4 days of bicycle-camping with 11 friends through the Carrizo Plains. The super-bloom was breathtaking, and the sunburns each of us came home with were frustrating. Most of us had applied and re-applied our sunscreen lotions each day, but every single one of us still got burned. Hmmm…Are the sun’s rays becoming more and more dangerous each year? So much so, that re-applying SPF 30-50 sunscreens doesn’t even work anymore? Synchronously, two days after coming home from the trip, your favorite and mine; Dr. Joseph Mercola, sent out a super-informative article on the importance of safe sun exposure, which foods you can eat for optimal skin-health, AND to establish built-in UVA protection in your skin. When it comes to your skin, what you eat has a lot to do with your complexion, and, a number of skin problems can be cleared up simply by altering your diet. As a general rule, a diet high in fresh vegetables, which are rich in bioflavanoids, and plenty of omega-3 fat, will lay the necessary groundwork for a healthy, youthful complexion. Certain nutrients also have protective benefits, helping your skin develop some natural, built in sun protection, and ward off the damage caused by exposure to the elements. Insulin and leptin resistance are major accelerants of the aging processes, which affect both your inside and outside, so it’s important to keep your blood sugar levels low and steer clear of refined foods if you want to maintain a youthful look — not to mention optimal health. The most effective way to do this is by reducing or eliminating processed, packaged, and fast foods, as they’re high in refined sugar, processed fructose, trans fats, processed salt, and other detrimental ingredients. Drugs and alcohol are also clearly enemies of a glowing complexion, and pasteurized dairy products are sometimes to blame for skin ailments. First off, Dr. Mercola stresses the importance of SAFE SUN EXPOSURE (guidelines listed below) so your body can produce natural vitamin D, and therefore gently build up your base tan, which helps protect you from the sun’s harmful, UVA rays. You see, throughout the day, there are two different types of rays we get from the sun. One type is beneficial, and one type is detrimental. The bad rays, called UVA rays, occur all day long. They penetrate your skin deeply, so they can cause free radical damage. They break through cloud cover, pollution, and penetrate most types of glass. They can damage your skin even in the morning and in the late afternoon, when the sun’s rays are bent, or whenever the sun is LESS than 50 degrees from the horizon, which happens year-round in high latitudes such as Alaska. Okay. The beneficial rays, the UVBs, are the type of rays that help our bodies make vitamin D, but they only occur in significant amounts between about 10AM – 2PM in the late spring, summer, and early fall in most latitudes, or when the sun is overhead and the rays are more direct (MORE than 50 degrees above the horizon). Scientists are now discovering the many benefits of getting a safe, daily dose of UVB rays of sunshine. These benefits, aside from getting a deeper skin color and thusly more natural UVA protection, include; natural vitamin D production (which cuts cancer risk by 60% ! ), improved mood and energy through release of endorphins, synchronization of biorhythms, and beneficial treatment of various skin diseases like multiple sclerosis, fibromyalgia, and tuberculosis. Wow! Of course, if you’re out in the sun for extended periods (more than about 15-20 minutes for most fair skinned people), avoid burning at all costs. Burning increases skin cancer risk. You can avoid burning by limiting sun exposure, wearing protective clothing, and using a natural, non-chemical sunscreen. Potentially harmful chemicals such as dioxybenzone and oxybenzone are some of the most powerful free radical generators known to man! So if your sunscreen contains dioxybenzone, oxybenzone, or any of the other chemicals he just revealed, he recommends tossing it in the trash and switching to a formula that is safe and healthy for your skin. Also, research suggests four common ingredients in sunscreen awaken harmful dormant viruses within coral reefs. National Geographic recently came out with a startling discovery: Sunscreen chemicals are killing coral reefs around the world. Four ingredients commonly found in popular brands of sunscreen – paraben, cinnamate, benzophenone, and a camphor derivative – are suspected of awakening dormant viruses which kill certain algae that live inside coral reefs. Essential to the health and well-being of coral, these algae provide coral with its food energy and contribute to its vibrant color. Without these algae, coral turns white – or “bleaches” – and dies. Tragically, these sunscreen chemical-driven viruses replicate until the algae explode, spreading viruses into surrounding coral communities. 1) You should try to get out in the sun in the midday, and only stay out as long as it takes your skin to turn a slightly darker shade. For me, since I’m fairly fair (thanks to my Irish heritage), that’s about 15 minutes in the spring & fall, and only 5-10 minutes in the summer. As soon as I turn slightly pink, I go back inside or I cover up. Lately, I’ve been able to spend longer and longer periods out in the sun without burning, as I’ve slowly and steadily developed my protective tan. It’s best to let our natural pigmentation (tan) develop slowly to avoid burning even slightly. 3) When sunning, get as much of your skin exposed as possible, even if it’s simply rolling up your sleeves and pant legs, but shade your delicate face and eyes. 4) Avoid sunning through a window or glass, where the beneficial UVB rays get blocked but the bad UVA rays come through. 5) Avoid foods which weaken your skin’s natural sun protection: refined vegetable oils, processed foods, foods with chemical additives, and inflammatory foods. Eat plenty of real foods which contribute to your skin’s natural sun protection: virgin coconut oil, plenty of omega 3 fats, quality vitamin C, oral Vitamin D3, and the supplement Astazanthin (which occurs in micro-algae and in fish/krill oils). 6) After sunning, when showering, wash your armpits and groin with soap but try not to scrub the rest of your skin with soap as it interferes with you body’s ability to absorb vitamin D. You see, vitamin D production happens in the sebum (oils) of your skin, which can take up to 2 days to be absorbed into your body. By keeping your insides healthy and clean, your skin will have no choice but follow suit and mirror your internal state. To accomplish this, you need to pay careful attention to what you put into your body. Avoid known skin and health-wreckers like processed foods, sugary drinks, and alcohol, and load up on fresh veggies, fruits, and berries (ideally organic and locally grown). Juicing is an excellent way to pack more vegetables into your diet. Also remember that your skin needs healthy fats — especially animal-based omega-3 — to stay firm, supple, and wrinkle free. I recommend sticking to low-mercury fish that are high in omega-3, such as wild Alaskan salmon (not Atlantic salmon, which is typically farmed), and small fatty fish like sardines and anchovies, or take a high quality supplement like krill or salmon oil. Both of these also contain a small amount of astaxanthin, which can offer potent sun protection, acting as an internal sunscreen. In terms of antioxidant capacity, it’s 65 times more powerful than vitamin C, 54 times more powerful than beta-carotene, and 14 times more powerful than vitamin E. It exhibits VERY STRONG free radical scavenging activity and protects your cells, organs and body tissues from oxidative damage. There are only two main sources of astaxanthin — the microalgae that produce it, and the sea creatures that consume the algae, such as salmon, shellfish, and krill. Many athletes report astaxanthin allows them to stay in the sun for longer periods of time without feeling ill and without burning. Less burning also means lower skin cancer risk. Cyanotech Corporation funded a study through an independent consumer research laboratory to measure the skin’s resistance to both UVA and UVB light, before and after astaxanthin supplementation. After taking 4 mg of astaxanthin per day for two weeks, subjects showed a significant increase in the amount of time necessary for UV radiation to redden their skin. Healthy fats which contribute to a glowing complexion include coconut oil, avocado, olives and olive oil, and raw nuts. Macadamia and pecans contain the most healthy fat while being low in carbs and protein. Brazil nuts are another good choice. Besides being on the higher end in terms of healthy fat, and lower in terms of carbs and protein, they’re also a good source of selenium, which can help protect against sun damage and age spots. As little as 3 to 4 Brazil nuts can provide you with nearly 4 times the recommended daily amount of selenium. Traditionally fermented foods and/or a high quality probiotic can also be very helpful for optimizing your skin health. Fermented/Cultured foods help promote the growth of friendly intestinal bacteria and aid healthy digestion. They also support healthy immune function, and increase B vitamins, omega-3, digestive enzymes, lactase and lactic acid, and other immune chemicals that fight off harmful bacteria and promote healthy skin…your skin often shows an accurate picture of your gut health. 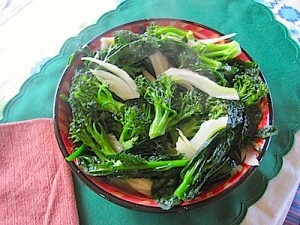 Raw and cooked vegetables as 60-70% of your diet supports your natural detoxification systems. For example, healthy liver function is supported by dark green leafy veggies such as kale, spinach, dandelion greens, and broccoli. 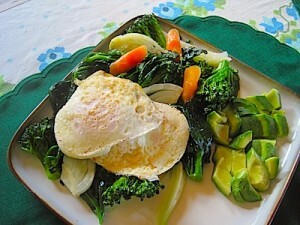 Aim for a wide variety of veggies in different colors for the widest variety of nutrients and antioxidants. Orange-red vegetables such as carrots, sweet potatoes, pumpkin and red peppers are particularly rich in beta-carotene. Your body converts beta-carotene into vitamin A, which prevents cell damage and premature aging. Most leafy greens provide lots of vitamin A as well, but spinach, kale, and Swiss chard also provide lutein and zeaxanthin. These antioxidants are perhaps most well-known for their eye benefits, but they also greatly benefit your skin. Similar to astaxanthin, research has shown lutein and zeaxanthin can provide a four-fold increase in protection against skin damage caused by UV radiation. Lycopene also offers protection against UV radiation damage by acting as internal sunscreen. Tomatoes are a prime source of lycopene, levels of which are much higher in cooked, processed tomatoes such as tomato paste. And high-antioxidant treats like cruciferous veggies, raw cacao nibs, and green tea are also known to beautify your skin. Dark chocolate is another source of valuable antioxidants. Cocoa flavanols in particular have been shown to boost skin hydration and improve blood circulation. In one study, women who drank a flavanol-rich cocoa powder drink daily for 12 weeks saw improvements in skin roughness and scaliness compared to the control group. For maximum health benefits, I recommend raw cacao nibs, which are actually bitter, not sweet. If too bitter, opt for the darkest chocolate you can tolerate, ideally 70 percent cacao or higher. Milk chocolate is worthless, as the sugar content is far too high and outweighs any benefits from the little polyphenols present in it. Vitamin C aids in your body’s production of collagen, which is the protein that forms the basic scaffolding of your skin. It also helps with skin healing, if you’re struggling with any kind of skin problems. Foods high in vitamin C include citrus fruits, papaya, kiwi, strawberries, red bell peppers, broccoli, and Brussel’s sprouts. Citrus fruits also contain limonene which is associated with a 34 percent lower risk of skin cancer. Besides vitamin C, vitamins D and B3 have also been shown to provide valuable protection against skin damage and skin cancer. B3 rich foods include: high protein foods like meat, liver, milk and peanuts. Also, rice, whole wheat, turnips, celery leaves, sunflower seeds, almonds, fish, prawns, tuna, chicken breast, beef, halibut, and salmon. Other food sources of vitamin B3 include mushrooms, cantaloupe, mangoes, peaches, asparagus, romaine lettuce, tomatoes, mustard greens, and squash…green beans, broccoli, and potatoes are also excellent sources of vitamin B3. And, as mentioned initially, Vitamin D is formed in your skin, and once activated in the liver and kidneys it influences the genes in your skin and helps prevent the type of abnormalities that ultraviolet light causes. As a result, sun avoidance becomes the factor that paradoxically can trigger skin cancer. For more helpful articles, please visit Mercola.com today and receive your FREE Take Control of Your Health E-book, by Dr. Mercola, a New York Times bestselling author!